I for one am embracing the leather trend with full force and this Lipsy number combines it with this beautiful pattern. Big patterns are great for making parts of the body look smaller and the peplum shape is perfect for hiding tums and faking Kim Kardashian worthy curves. This stunning Red Lace French Connection Dress (The USA variation of) was seen on the gorgeous Taylor Swift recently. The skater skirt is universally flattering and the red lace adds a touch of Hollywood glamour. The berry tones this season run from bright reds to deep plums and burgundy's so there is definitely a shade to suit everyone. 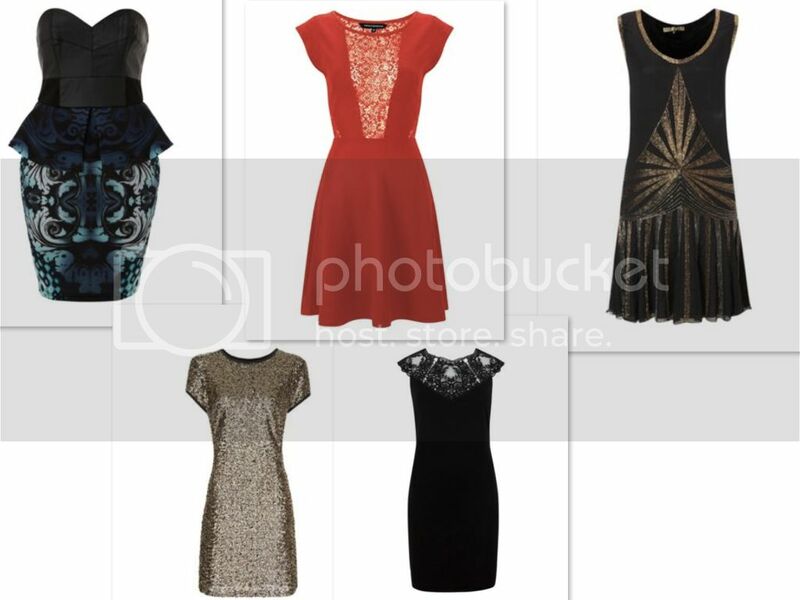 My favourite trend has to be heavy sequins and embellishment, you can't help but feel amazing in a full sequin dress! Keep shapes simple and classic when going for sequins or embellishment to help streamline the figure and make the piece last the seasons. This Mango Sequinned Shift Dress is perfect for the upcoming party season, and can be paired with a fitted blazer and sky high heels for the ultimate in effortless sophistication. For all of you vintage lovers, this Biba Flapper Dress really fits the bill. As the run up to Christmas seems to start in October in retail, I'm throughly in the spirit and can't wait to inject to Christmas Glam into my wardrobe! What trends will you be sporting this Autumn?